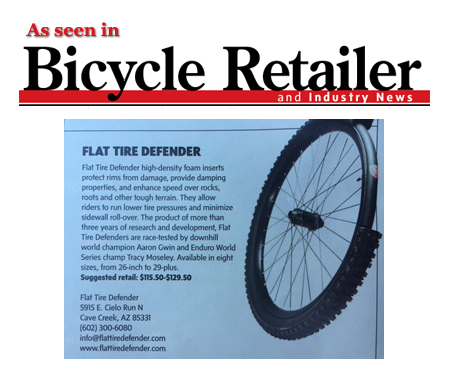 Madison will now distribute Flat Tire Defender throughout the UK. The brand has 35 years of tyre engineering experience and makes industry-leading foam inserts for mountain bike tyres, that help to both minimise flats and protect rims. 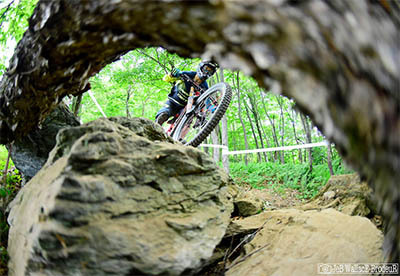 I posted a Vital MTB forum thread in May of 2014 asking “Why are flat tires something we still see these days?” Some riders were plagued by the typical race-robbing issues of pinch flats at the first two World Cup DH events. “We have $10,000 bikes but we can’t keep air in the tires if they’re hit just right?” I was frustrated and I’m not even a racer getting hosed or a team sponsor watching tens of thousands of dollars go down the drain on a single race effort. Frank Stacy has been designing tires longer than most Pinkbike members have been riding mountain bikes, and before that, he was doing the same for off-road motorcycles. Stacy keeps a low profile, and he’s worked for a number of elite brands, so while you’ve may have never heard his name, there is a good chance that you have ridden his work. The four-time World Cup Champion unveils game-changing tyre technology – Flat Tire Defender foam inserts. In a season that saw Aaron Gwin make a shock move from Specialized to YT Industries, it turns out that there was something else new for the four-time World Cup Champion in 2016. Whether on a single trail or downhill course, riding a mountain bike is oodles of fun. You know what’s not fun? All the sharp rocks, hard roots, and scattered branches that could push your tire in so hard against the rim that it causes a serious flat.